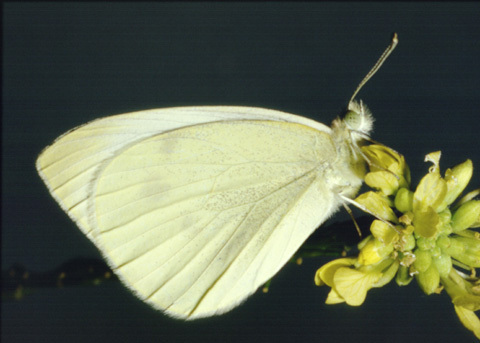 Cabbage White Butterfly can be referred to the two counterparts of the same species namely the Small White Butterfly and the Large White Butterfly. The butterflies are the offspring belonging to Pieridae family. These are ordinarily found in various continents like Asia, Africa, Europe and America. Cabbage Butterfly or Cabbage White Butterfly is the popular names of these species and this is how we refer to them in this article. These species are considered winter hardy as compared to other non-hibernating species. 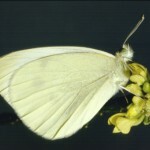 It is seen that the Pieris Brassicae or in general terms, Cabbage White Butterfly have dark colored marks on their body. These species produces a secretion, which is doubted as mustard oil that is extracted glucosinolates occurring in food plants. These can be easily confused with the moth. Due to migration, the population of these species is seen increasing. The pupae are recognized as pests but harm the mother vegetation plant. These species are present almost all across the globe. Small White Butterfly: These species inhabit regions of Europe, Asia, and North Africa. In addition to this, they are also found in Canada, USA and Mexico. 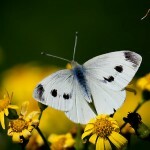 Large White Butterfly: These are found in Europe, Asia, and North Africa. One can also spot them in the Himalayan Ranges. Color: The forewings of these species are dotted with black color. In case of the females, the fore wings possess a black spot at the centre. The under wings are yellow colored designed with yellow blotches. Wingspan: These species have a wing span ranging from 32 to 47 mm. Color:Just like the small ones the larger females also has one black dot in the middle. The upper portion is colored in creamy white while lower portions are in pale green. Wingspan: These species have a wingspan ranging from 5cm – 6.5 cm. Small White Butterfly: One can spot them almost anywhere .However these species like to dwell in the Brassica and the garden area. Moreover, they are also found in Rapeseed fields, hedgerows and the coniferous wood. 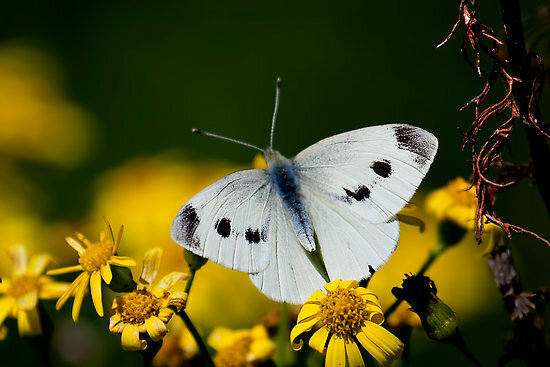 Large White Butterfly: These species mainly dwell in gardens and Brassica. These are also found in the Rapeseed fields and on mountains. These species thrive on the Brassica genus like cabbages and nasturtium. However the larger one feed on charlock, wild cabbage, wild mignonette and hoary cress. These species usually feed on the plants from the family of Cruciferae and Brassica Oleracea such as Brussels sprouts and cabbages and different type of Brassica genus. It is also seen that the larvae as well as the adults feed on Rapeseed. These species are diurnal and remain active during the time of the day or at late nights. These species are seen to be migrating during the months of winter. They like to live on the lower portion of the leaves. By nature, these species are active during the daytime and when the temperature is high. These species are seen hiding in the lower portion of the leaves and generally migrate in groups. 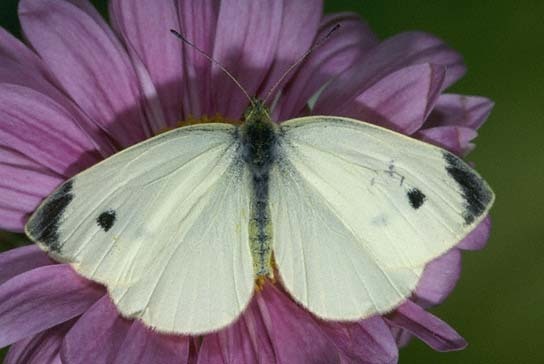 Small White Butterfly: These butterflies actually mate during the middle of the day. The female counterparts usually lay eggs on cabbages, kale, radish, horseradish and wild cabbage. It is observed that only one egg is laid at the leaf of their mother plant. Large white Butterfly: These species mate while flying. The female counterpart lays the eggs in the lower portion of leaves of the mother plant. It is seen that each clutter contains about 20 to 50 eggs. Small White Butterfly: Once the larva hatches, they feed on the mother plant. The larva is light green colored layered with tiny hair. Between the months of August and September, the caterpillars finally pupate. These pupas are 15mm in size on an average which encompasses the outer carapace as well. The pupae can be spotted hibernating on the mother plant during winter season. Large White Butterfly: In case of these species, the epidermal layer of the mother plant houses their clans. Right after the second period of shedding, these species endeavor to travel in clans of 4 or 5.In this stage; the larvae starts eating the mother plant. In fact they are known to spend winter as green chrysalises. The pupa stage exists for 10 – 15 days. Once the butterflies come out of the pupa stage, they begin flying. 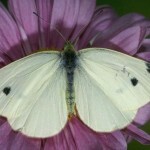 Small white Butterfly: The inconsistent color of the butterflies is a very important adaptive feature. This helps them to camouflage and protect themselves from becoming victims of their predators. The green color transformation helps them hide among leaves of trees. 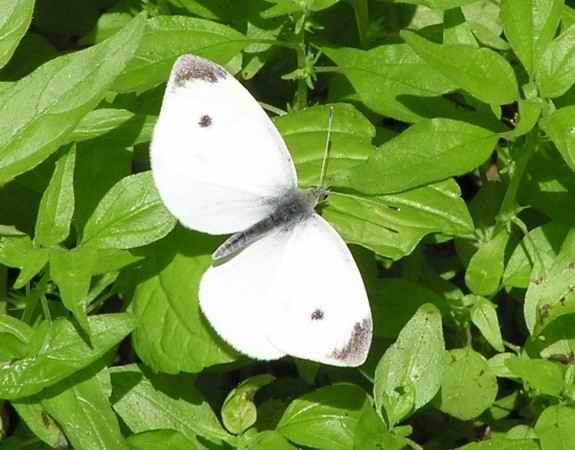 Large White Butterfly: The pale green lower portion helps them disguise as leaves and grasses. Large White Butterflies: It is seen that the newly born often gets prey in the hands of the wasps. 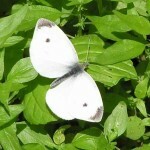 Other predators are the same as those of the small white butterfly. The life span of these species is still not known. According to the reports of IUCN these species are in the category of least important ones in the endangered list.